When asked how does he think about the problems of the physics of light, Glauber says that it is an off-shoot of particle physics. He says that he has mainly worked in nuclear physics, quantum electro-dynamics and the quantum theoretical version of Maxwell’s theory of electro-magnetism. Working on this during the 1950’s was timely as the lazer was fully developed and all kinds of experiments became possible. Glauber found that light beams (even with the same spectra) could be very distinguishable by comparing the measurement of their quanta statistics. 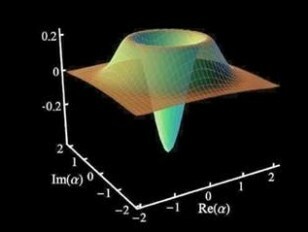 On the theory of optical coherence Niels Bohr said that the wave picture and the particle picture seem to be contradictory but simultaneously true.